March | 2014 | What Am I Thinking? 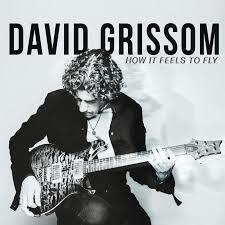 Last week I may have undersold David Grissom’s latest Album “How it Feels to Fly” Listening to it again last night I realized the songs were still growing on me. I still stand behind what I said about the instrumentals being my favourite tracks. There’s something about the vocal tracks that reminds me of when Eric Clapton or Dave Mason (the one from Traffic) decided they were going to become a bit more radio friendly and de-emphasise the guitar playing in favour of marketable songs. On the other hand that’s when they both began to have massive hits. There’s only one of Grissom’s songs I haven’t warmed up to at this point (“Overnight”), In light of this realization I’m adding the opening track “Bringing Sunday Morning to Saturday Night” to the playlist. On to new business – sort of. 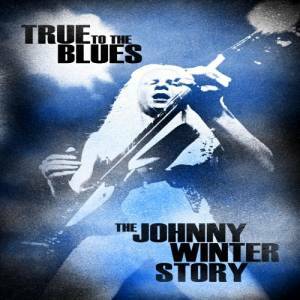 I usually don’t go for retrospective compilations, but it’s been so long since I heard Johnny Winter play guitar I had to give a listen to “True to the Blues: The Johnny Winter Story”. 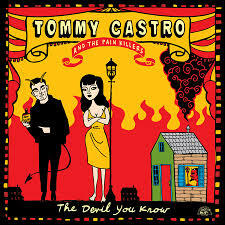 The title might put off some of the uninitiated who might enjoy this album – True to the blues rock would be more accurate. Yes, there is some straight up blues here, but there’s also a lot of blistering rock and roll. And I mean a lot – according to Spotify this collection runs over four hours. And no, I haven’t listened to it all since the release, but we used to listen to this guy quite a bit 30 or 40 years ago, and ranked him up Eric Clapton, Duane Allman and the other guitar legends of the time. If I have one complaint about this collection, it’s that someone seems to have edited out the cry of “ROCK AND ROLL” before either “Jumping Jack Flash” or “Johnny B Goode” (depending on whether you were listening to the album or the single from “Live Johnny Winter And…” released in 1971). Both tracks are on this compilation, and it’s very tempting to pick one, but I’m going to go for the nearly forgotten classic “Rock and Roll Hootchie Koo”, which has probably fallen through the gaps of modern radio playlists every bit as much as yer man has, but I concede that living in Ireland might give me a different perception of this than the folks back home have. Anyway, it’s on the What Am I Listening To 2014 playlist. eponymous new album is left of center pop music, but still within the margins of getting radio play on “Birth in Reverse” and “Digital Witnesses”, and I am enjoying those as well as the rest of the album. But the one that seems to have really resonated with me on the first few listens is the ballad “Prince Johnny”, which is a lovely pop song with some intelligent and eccentric lyrics, so I put it on the playlist. After all the blues rock I’ve added lately I better find something to go with this song so it doesn’t feel all alone, lol. I know it’s only Tuesday, but I’ve got a couple of Friday night bands here I’ve been listening to for a few days who have new studio albums out, although I suspect that in both cases they sound better when heard live in a dark room under the glow of the beer light. 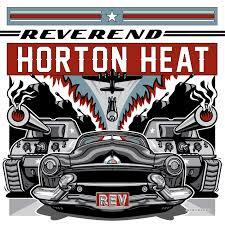 First up is a character named Reverend Horton Heat, who is relatively unknown to me, though not to America from what I’ve read. He’s been kicking around long enough to be nearly as old as I, and has been putting out records since 1990. The Rev plays a rough and ready style of what I believe is most appropriately called punkabilly. He leads a three piece band which includes a stand-up double bass. It’s the classic Stray Cat’s line-up, but with an energy reminiscent of the early Clash, without the politics. The songs themselves don’t consistently fare well against either of those comparisons, and Heat isn’t quite Brian Seltzer. However the adrenalin levels are high and it sounds like these guys would be fun to see in a bar. “Never Gonna Stop It”, a rock ‘n’ roll song about rock ‘n’ roll, is now on the What AM I listening to 2014 playlist. Next is a guy who actually is my age, Tommy Castro, along with his band the Painkillers. They play a mix of blues, old school r&b, and rock. To my ears the musicality, songwriting and guitar playing is a notch above the Rev’s. 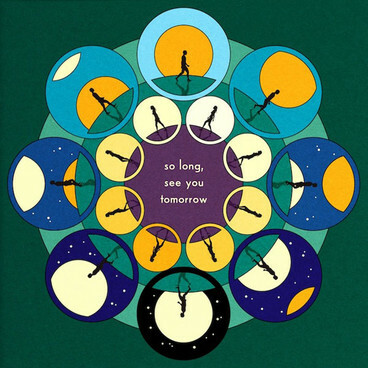 I suspect the album will also hold up better to repeated listenings. On the other hand there’s a sort of just good enough lo-fi quality to this album that also makes it sound a bit rough edged, and a good-time feel that makes me think both artists could happily share a stage with without too much culture shock for the audience. The album boasts a decent cover of the old Wet Willie song “Keep on Smilin’” that makes the song sound more like a J. Geils track than the original did, which isn’t necessarily a bad thing. Among the originals it’s hard to know which one should be picked for the playlist, there are enough equal contenders. I went with “Medicine Woman” ’cause that’s the way I roll. It’s on the playlist. I’ve changed my approach to these blog posts because they got away from my intention, which was to make some notes about new music I’m listening to. Instead it seems to have turned into more of a review site, which was not my intention. The blog really exists to support the What Am I Listening To 2014 playlist, not the other way around. I also noticed that the more I was treating this as a review column, the less I was writing, and consequently the less I was putting on the playlist. So a lot of the music I listened to never made it to the column, either because I wanted to have some kind of definitive opinion of it before posting, or else I wasn’t moved enough to either write about the music or put it on the playlist. In some cases where the music did resonate with me, I didn’t really want to say much of anything about it, just get out of the way and play the song already. Hence the playlist. Anyway, I think I’ll try to treat this more like a musical diary for now and see how that goes. Which means I will probably revisit some selections and have little to say about others (at least at that moment), but it should lead to sharing more music more often on the Spotify playlist. Finally, please not that the headings below are all links. The Artist names links to the artist’s website, and the album title links to the album on Spotify. It’s been a long time between Beck albums. I can understand how anyone waiting years for another “Devil’s Haircut” or “The New Pollution” might be disappointed with “Morning Phase”, because it is essentially a folk album and sooo mellllllooowww. 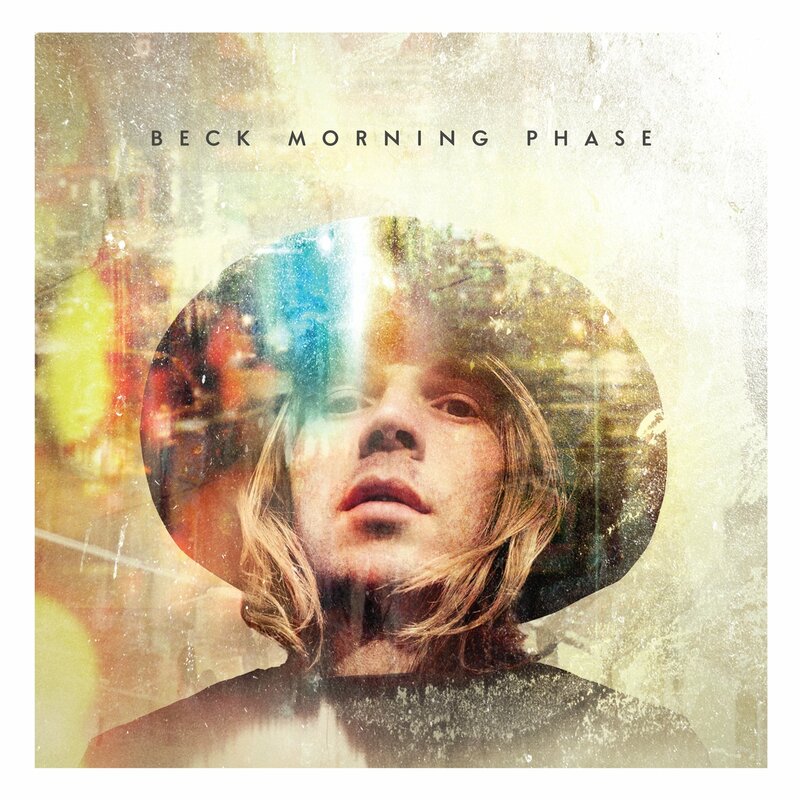 It’s also, if you’ll excuse the terms in relation to Beck, a gentle and pretty album in the songwriting, the singing, and the overall production. I’ve been enjoying it well enough. It hasnt rocked my world in any dramatic sort of way, but there are a few songs on it that have caught my attention in subtle ways. I’ve included my current favorite of these,“Turn Away” on the What Am I Listening To 2014 playlist. It vaguely reminds me of one of those old Paul Simon ballads he used to write for himself and Garfunkel, emphasis on Simon. I’ve already written about this album and added some songs to the playlist. After a month or so I find that I’ve listened to this album more than any other new release so far this year, and it does seem to have legs. Last time I mentioned that I considered putting the opening track, Overdone” on the playlist. I may have had a slight allergy to opening tracks at the time so I left it off. However, I can no longer ignore it since it may be the best song on the album that has not been released as a single (so far). It’s now on the What Am I listening to 2014 playlist. 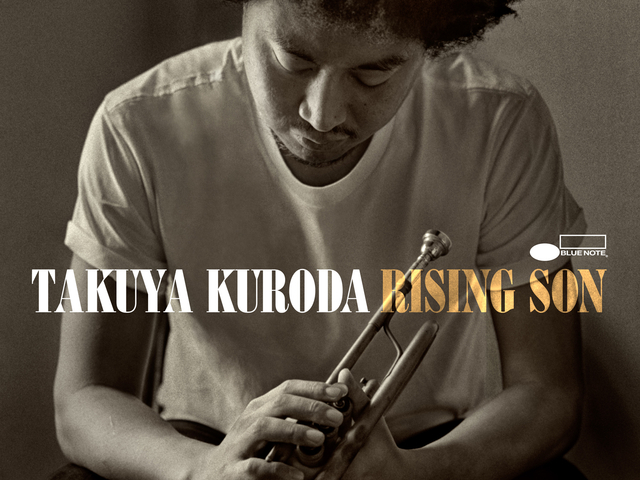 Japanese born Manhattan resident Takuya Kuroda borrows the jazz band he’s been trumpeting with behind vocalist Jose James for several years now to make his new album on Blue Note records, with James behind the production board instead of the vocal mic. Note recording. It works a treat, and the jazz wins out easily in that bit of rhythmic fusion. The purists might complain but I think it’s the kind of album that even those with merely a passing interest in jazz might like. I can see myself racking this one a lot. Jose James does sing on one track, “Everybody Loves the Sunshine” which I’ve included on the playlist. To me, it feels like lying in a meadow on a perfect summer day. Now here’s a jazz album you definitely can’t nod your head to, though you may shake it occasionally. 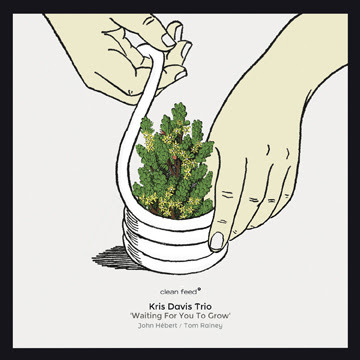 The Kris Davis Trio is just a bit too Avant Garde for my tastes, and at times seem to be pushing the envelope of what can be considered music. It might suit people who like their jazz a bit more challenging. I suppose opening the album with over a minute of free form drum solo should have been a dead giveaway. Using the classic trio line-up of piano, bass and drums, the music seems to veer from chaotic to frenetic, in and out of time, eventually resolving to something you can grab on to, just to prove there is some form there, then moments later devolving back into an intentional mess. And that’s just the first, 15 minute track. It sounds like this music might be fun to perform, but I didn’t find it much fun to listen to. Maybe I need to hear to it a few more times before it starts making sense to me. If it ever does I’ll let you know. David Grissom’s band is built around his big, gritty rhythm guitar sound and old-school lead work. The Rhythm section sounds full and meaty and the Hammond organ completes the sonic picture. For me, the best moments on his new album “How it Feels to Fly” come when the songs get out of the way and the band gets to stretch out in those 70’s style blues rock jams that bands like the Allman Brothers used to specialize in. And that should make a bit of sense, since David spent a bit of time as a member of that band back in the 90’s. There’s even a note-perfect version of their chestnut “Jessica” in with the four additional live tracks to prove that point. In contrast, the new studio songs don’t always seem to hit the same level of intensity the band achieves on the instrumentals. Some of the songs come close, such as “Bringin’ Sunday Mornin’ to Saturday Night”, which name checks a host of Soul, Blues jazz artists from the past, “Georgia Girl” and “Never Came Easy to Me”, and they worked for me on early listening. When the song structures venture outside of that style, Such as with the title track, I find it takes me a few listens for the songs to get traction with me. That’s not necessarily a bad thing – some of my favourite music has grown on me rather than resonated with me on first listen. At first I thought they might benefit from a different arrangement perhaps, such as happens with the mainly acoustic “Satisfied” which works quite well for me. However I don’t feel as strongly about that point now that I’ve heard them a few times. I’ve picked two from this album for the contrast. “Way Jose” is one of those instrumentals I was raving about. “Gift of Desperation” is probably my favourite song on the album that strays from the Blues/rock song structure. I particularly like the interesting lyric hook – feeling gratitude where others might not. They’re both on the What Am I Listening To 2014 playlist. 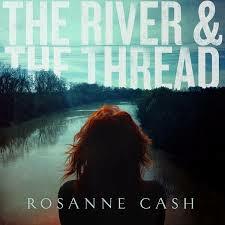 “The River and the Thread” was created out of that road trip that took Rosanne and her collaborator/husband John Leventhal through Tennessee, Arkansas, Mississippi, Alabama, to Robert Johnson’s grave, the Tallahacthie bridge, civil war battle fields and, of course, her father’s birthplace. These experiences inform the songs in subtle ways instead of showing up as overt themes. The album is a gentle celebration of the angels and demons of the South and of Ms Cash’s connectedness to them. It’s a consistently worthwhile collection of tracks and an easy listen with well-crafted lyrics. The latter tracks on the album venture a little too close to traditional country sounds and motifs for my taste, but I admit that’s a subjective comment. “Modern Blue” is an upbeat adult pop song that caught my ear the first time I listened to her new album “The River and the Thread”. It’s probably the least country sounding song on the album. It has a familiar, comfortable feel. It’s on the What Am I Listening To 2014 playlist. Rosanne Cash plays Dublin’s Vicar Street April 27th, 2014.